We’re excited to announce that our latest platform update is now live. The September 2018 release is focused on introducing powerful new features for sending requests, communicating with customers and keeping track of content. We'd like to thank our customers for helping provide feedback and requests for new enhancements. Have an idea for a new feature? click here to let us know. This new feature now allows you to send emails to customers using your own domain versus TrustSpot. When customers receive your emails, they will mention being sent from (name@your-domain.com). To start using the Custom Sender Domain feature, click on Automatic Email Settings, and scroll down to the "From Email" section. Note: This feature requires technical knowledge of your Domain's DNS. If you're not sure how to make the updates, please ask your site administrator. 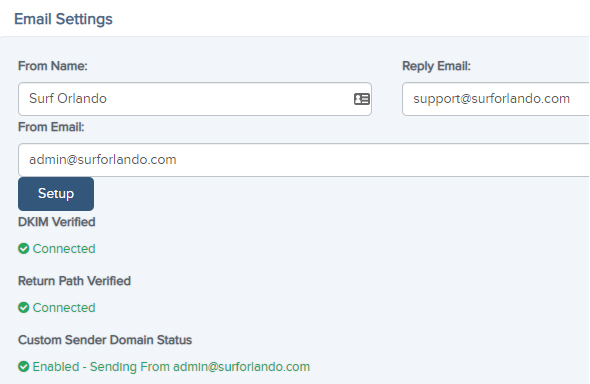 To learn more about Custom Sender Domain, check out our support guide. Responding to customers is great way to show your amazing customer service in action. With this update, you can now respond privately as well. Private Responses, are only emailed to the customer, and are not shown on your website or your profile page. Today when you respond to a customer, you will see a radio button for "Public" or "Private". Simply select Private, type your response, and you're done! To learn more about the Respond to Reviews feature, check out our support guide. All employees on your account can now be notified when new reviews or new questions come into your account. This feature will enable your customer service teams to act more quickly when following up with a customer. Employees will now see a new tab in the Account Settings page called "Email Preferences". From here they can enable notifications for their account. To learn more about the Employee Access feature, check out our support guide. Earlier this year, we introduced the ability to send coupons based on customer events. Today we're introducing an update to this feature, where you can view & export coupons that have been sent to customers. To learn more about our Coupons feature, check out our support guide. We've released a small update to now allow for the Review Tab to show on the right side of the site, as opposed to always on the left. In addition, we've defaulted the tab to Product Reviews, if there are less company reviews. To learn more about Review Pop-up Tab, check out our support guide. Customers using these platforms can now connect their store to TrustSpot for automatic review requests and for easily displaying review content on their site. To integrate with Volusion, check out our integrations guide. To integrate with Neto, check out our integrations guide. 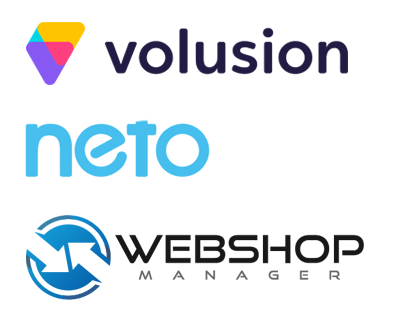 To integrate with Web Shop Manager, check out our integrations guide. With every platform release, we not only focus on introducing new features but also improvements to existing items within the platform. Based on feedback, we're happy to detail out the technical improvements released in September. Our October release will be focused on revamping several major screens in the platform, such as CR & PR Moderation, Q&A Moderation, and Email Settings. This revamp will include a fresh design, new functionality, better searching capability, and increased performance. This release will also focus on several large feature requests and new marketing integrations. Ryan is the co-founder & CEO of TrustSpot. When he’s not thinking of new features or testing marketing campaigns, you can find Ryan at the beach surfing.